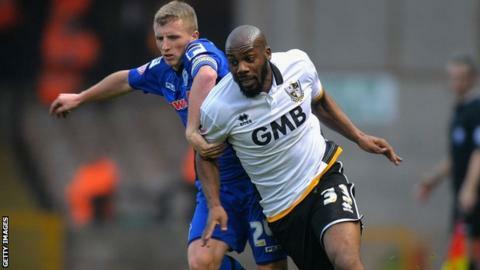 Port Vale striker Dany N'Guessan has signed a contract extension to keep him with the League One club until June. The 27-year-old former Millwall and Swindon man has scored three goals in eight games since joining the Valiants on a two-month deal in October. He also set up Michael Brown for the opening goal in the 2-1 win over Crawley on Saturday. "I think Dany has shown in recent games what he is capable of doing," Vale boss Rob Page told the club website. "It was a frustrating game for him at Crawley, he did everything other than get a goal for himself. "He created numerous chances and I think we're seeing now that the fitter he gets, the more benefit he is going to be to the team."